This is one branded belt we have serviced countless times. 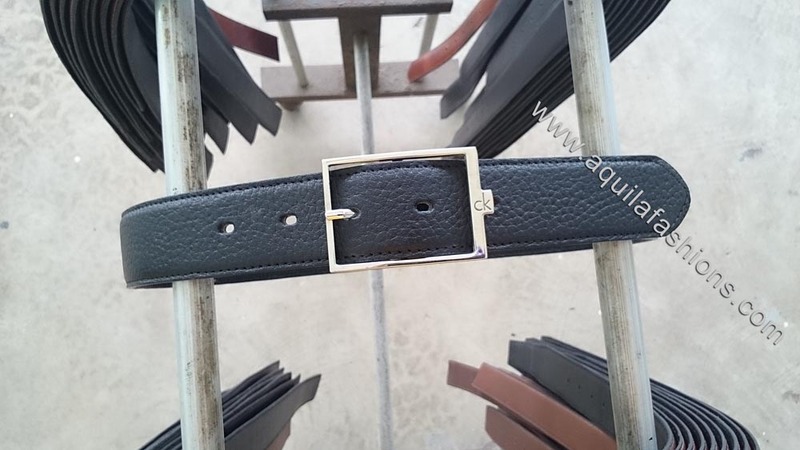 Our customer chose to have his Calvin Klein buckle retrofitted with grey full-grain saffiano leather belt instead of the usual smooth surfaced belts that come with this buckle. Classic center bar buckle. 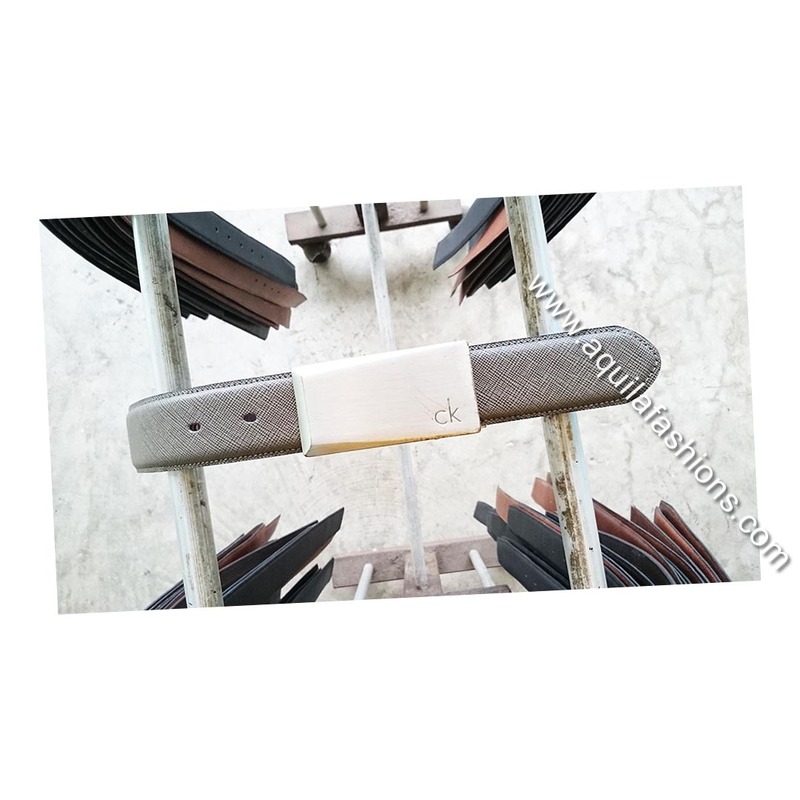 This is a beautiful slim and sleek Calvin Klein buckle. I love how the words “ck” juts out tastefully from the main frame of the buckle! As usual, Aquila Fashions to the rescue! Customer came in with this CK buckle. Belt’s spoilt, or was it too short, I can’t remember. Anyhoo, a black quality leather belt strap as the replacement belt strap! Aaaanndd, he wanted to replace belt strap with something that is scratch proof! We ain’t got scratch-proof around here cuz all leather take scratches, but we have a solution, ie our black pebbled full-grain leather! The embossed textured surface conceals all scratches easily! For more Calvin Klein replacement examples done at our factory please click here.